Circle Surrogacy and Egg Donation founder and president John Weltman contributed to an important piece that appeared in The SciTech Lawyer this past summer. The piece is called, Wishes Granted: The Science Behind HIV Positive Dads and Their HIV Negative Kids. The SciTech Lawyer is a quarterly publication for the Science & Technology Law Section of the American Bar Association. Its mission is to provide information about current developments in law, science, medicine, and technology. The Special Program of Assisted Reproduction (SPAR), the program that makes HIV-positive parents able to have HIV-negative children, welcomed its first baby in 1999, yet a majority of people have never heard of this technology. Since the first SPAR baby was born in May 1999, there have been 272 births via SPAR, which involves sperm washing (the same can be done with eggs) for safe IVF transfer. They have had a 100 percent success rate with these procedures. SPAR is becoming more accessible and more affordable, however, opposition to HIV-positive individuals becoming parents via IVF is still an unfortunate reality. Moreover, many men and women with HIV assume becoming a biological parent is not an option. This is why increased awareness is essential. 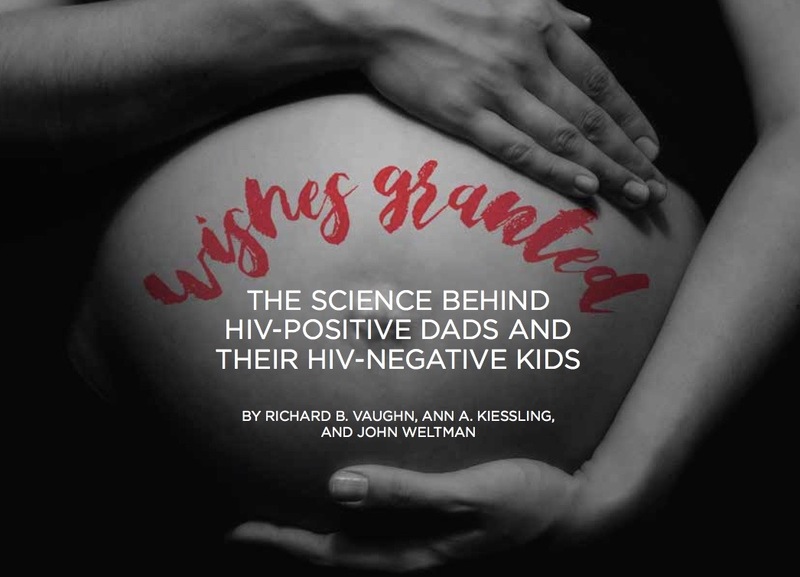 We hope you take a few moments to read Wishes Granted: The Science Behind HIV Positive Dads and Their HIV Negative Kids, and help us spread the word about this miraculous technology that we have seen make dreams come true for several families.